Originally organized and conceived by Ryan Dean with the help of countless others around the world. 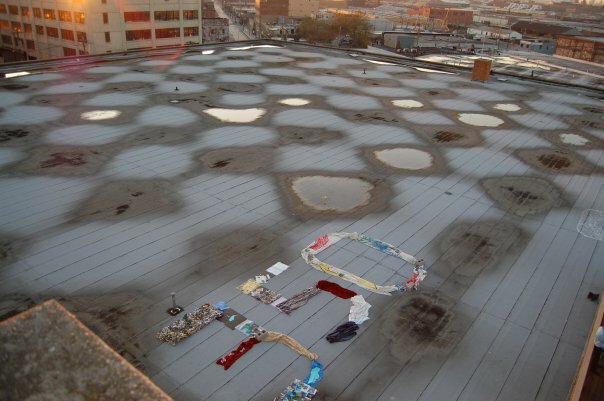 Participants in the Bird’s Eye View have a unique way of petitioning for the reduction of carbon emissions through collaborative installations built on rooftops across the world. 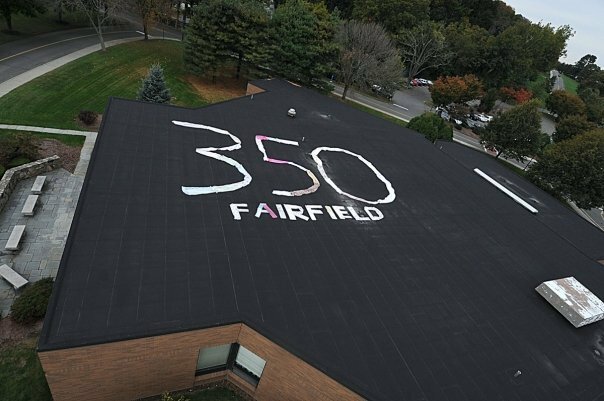 Upon these rooftops, collaborators unload pounds and pounds of plastics, paper, fabric, and other used materials, which they then arrange into the number, “350,” a massive 350 that can be seen from airplanes. BEV installations are not just piles of material forming signage. Those working around the BEV think of these collaborations as “nests,” and like birds, these nests require a collection process. 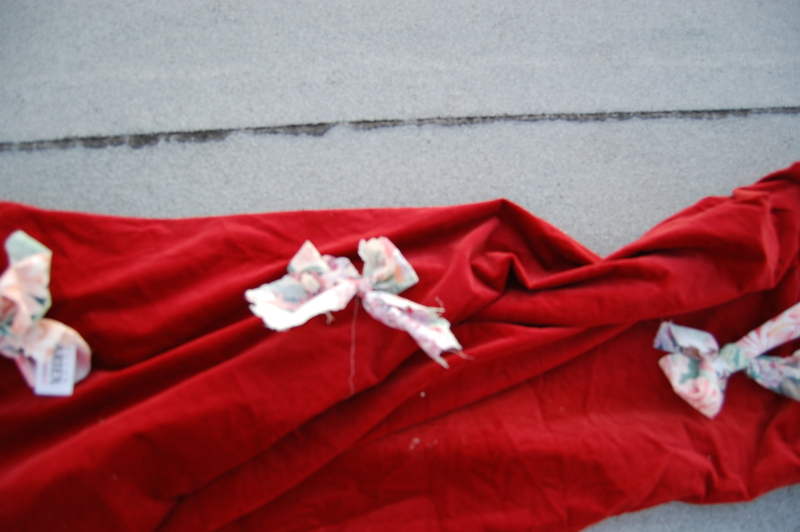 For example, in the installation at Fairfield University, students started a campaign to collect old bed sheets from members of the community. At Beta Spaces, collaborators used recycled materials to create art pieces to form the numbers. 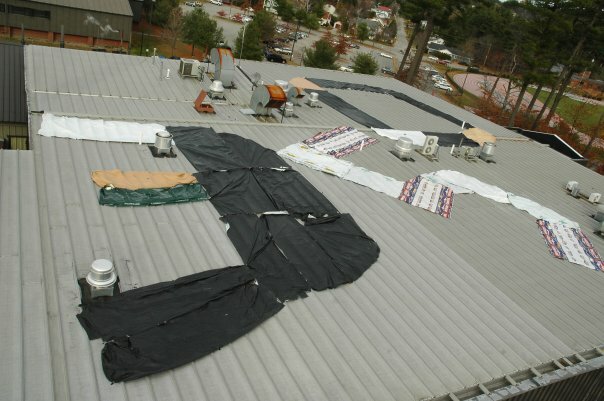 In Maine, Ryan Dean (the original creator of BEV) organized lumber yards to donate tarp-like materials for the projects. 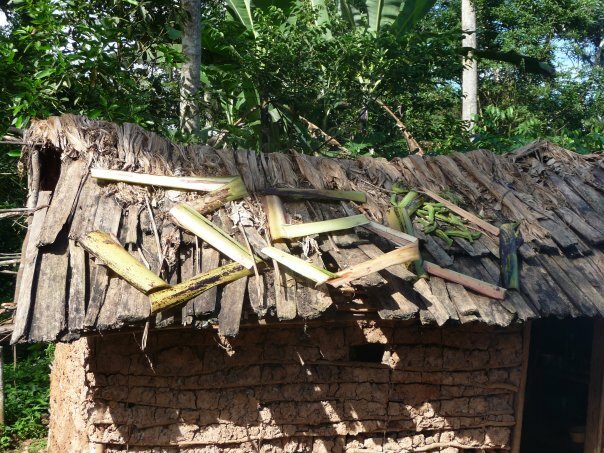 For the piece in the Congo, stalks of bark from Banana trees formed the numbers. 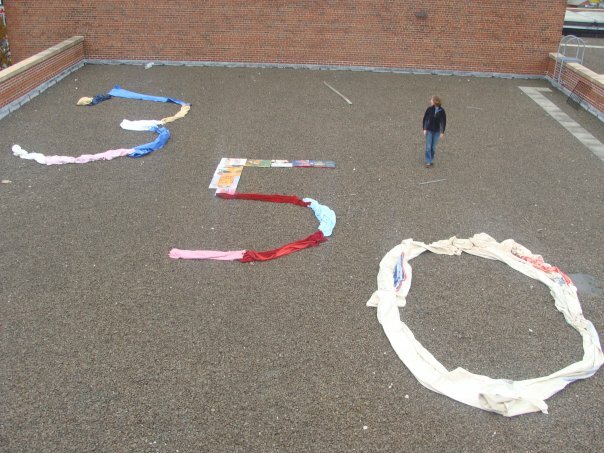 At Brooklyn College, people used recycled art work (old paintings) and tarps for the 350. In a sense, each of the nests reflect bits of the surrounding environment. The Bird’s Eye View has also joined networks with other groups across the world. In China, participants from an environmental effort known as Greening of the Beige created their own nest using old magazines. 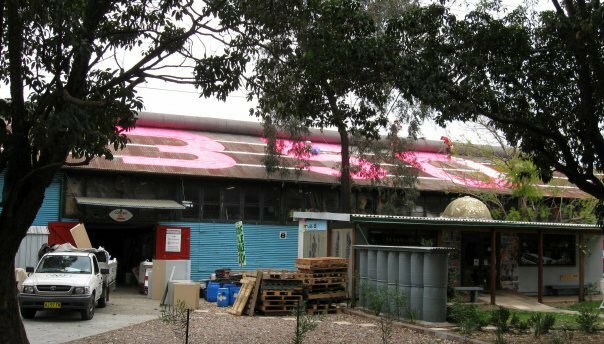 Another eco-minded group known as Reverse Garbage in Australia also collaborated with BEV. These billboard-sized nests attract attention in a fashion similar to the desperate signaling employed by those trapped on uninhabited islands. 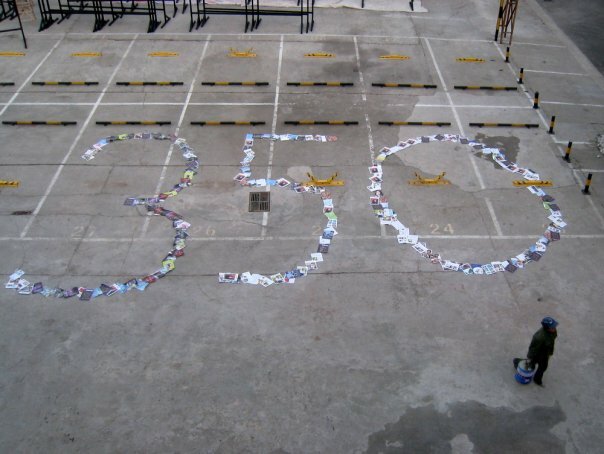 I find this very fascinating, but more importantly, the idea behind BEV is to capture 350 from a perspective that allows one to absorb the surrounding environment in such a way that we can actually see the spread of houses, buildings, and other human detritus growing across the Earth. For many of us, this BEV portrait of Earth isn’t something we confront on a daily basis, for we approach the architecture of our cities and suburbs on the ground. We move in and out of buildings, across streets, and through one city’s end to another city’s end without that ever-present view from above. Bird’s Eye View originally began under the direction of Ryan Dean from Cranston, RI. 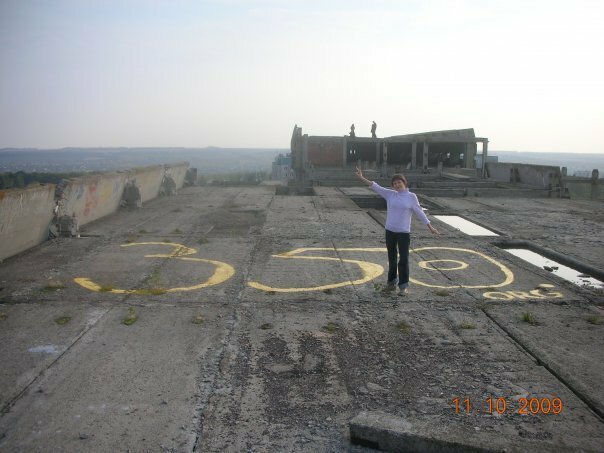 Since its inception during the winter of 2008, people such as Laura Marie Marciano and a network of individuals have assisted Dean by writing proposals for the project, traveling with him to spread the mission, and putting in hours to construct/document the installations. 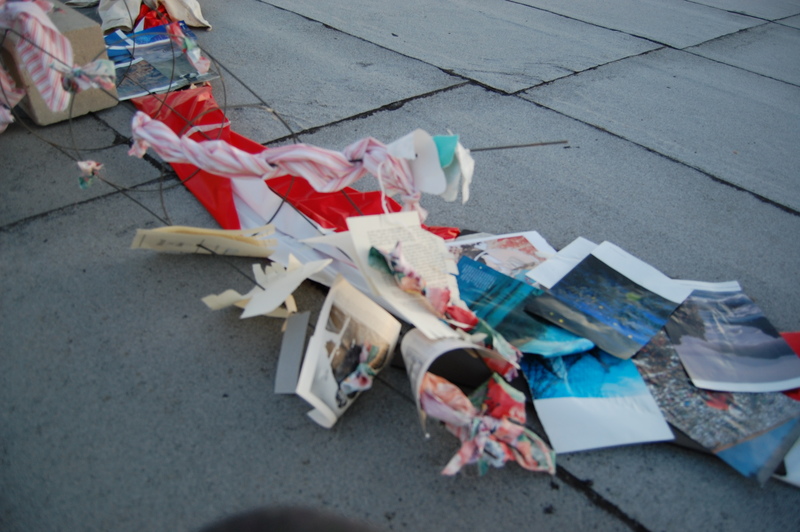 I had the pleasure of meeting Laura Marie on a rooftop where she displayed a Bird’s Eye View piece during Beta Spaces ’09.